Park aficionados know that our Bryant Park bistro chairs are an important part of the park's identity. For many people, our movable seating is the highlight of a Bryant Park visit. Our vintage bistro chairs (available a la carte or as a set) are available for purchase. The bistro chairs are lovely, but they are even more lovely when adorned with a plaque. 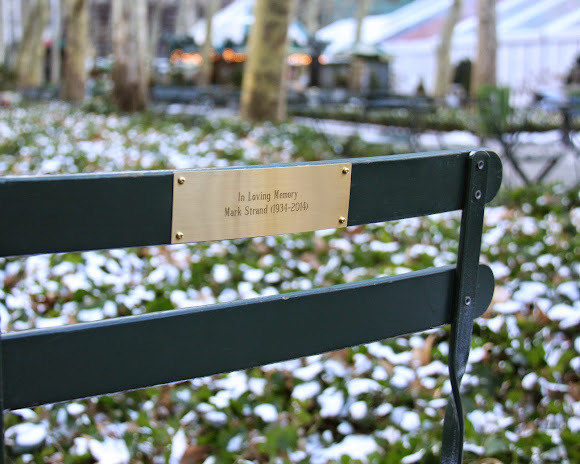 Look around the park and you'll notice nearly 1,000 chairs that have special messages on them, ranging from commemorations of a life well-lived, to a memento of the place where a couple met the first time. We understand how meaningful chair plaques are, so we take the process very seriously. Chair plaques have meaningful messages on them. When you order a chair plaque on our online shop, the order is processed by the Bryant Park staff. After the plaque has been checked for spelling and quality, it is installed by our park staff on a chair in good condition. After all, the plaques are guaranteed to be in the park for at least a year, so the chair must be able to last that long! Richard from the park staff works to install and polish chair plaques. We snap a photo and send it to whomever purchased the plaque. Many people want to visit the chair in the park, and then we work with purchasers so they can enjoy the chair in person. For an additional fee, the chair with plaque can also be purchased. We take a photo so you have a memento of the chair plaque. Now, next time you're in the park and are touched by a chair plaque inscription, you know exactly how the plaque came to be.